Global warming remains a big topic in the media and offline. It is likely to continue being a key issue after new research has linked global warming to an increase in the prevalence of hay fever. Hay fever is already a common misery for enormous numbers of people. Unfortunately, more people are joining its ranks. Not only is global warming linked to an increase in new incidences of hay fever, but also it increases the symptoms for those already suffering from hay fever. The term global warming refers to the rise in our planet’s surface temperature from greenhouse gases. These include emissions of carbon dioxide due to burning fossil fuels and also deforestation. The consequence of these kinds of activities is that heat gets trapped when it otherwise would have escaped from our earth. While much of the environmental damage has been widely publicised when it comes to global warming, little has been discussed about the effects on allergies. Spring has been coming earlier each year, which has meant that allergies similarly start to wreak their havoc earlier in the year. As the planet continues to warm, ragweed pollens increase earlier on in the season. Statistics vary but approximately one in ten people suffers from sensitivity to ragweed pollens. Allergies to ragweed are very common. The ragweed plant is a type of plant that is from the sunflower family. A flowering plant, its pollen is released into the air, where it causes hay fever symptoms. It is found in both rural and urban areas and is usually spread via the wind. In fact, it can travel for many miles and be sustained during dry or windy days. Global warming is associated with higher levels of carbon dioxide. It is thought that such higher levels have doubled the pollen produced by ragweed. This effect is believed to have been occurring over nearly fifty years. Even more alarming is that scientists are predicting that these levels could double over the next hundred years. The higher carbon dioxide levels not only increase the production of ragweed pollen, but also they trigger pollen production earlier in the year. The effect is thought to be particularly strong in urban cities. Even though there is not as much ragweed growing in cities, people tend to experience more sensitivity to the effects in cities. This is due to greater exposure to pollution – namely air pollutants, which creates a confined space in which people are exposed to pollutants that can trigger hay fever. For those who suffer from hay fever, there are many remedies. You can try anything from antihistamines to more natural herbal remedies. Today, there are numerous treatments available, including prophylactic ones. Avoiding exposure as much as possible on peak pollen days and during peak times is also recommended. In terms of the bigger picture for global warming, you can also get involved here. With the projected increase in global warming, it is more important than ever for everyone to get involved, particularly allergy sufferers. One way to help is to recycle regularly. Reducing waste is something everyone should be doing on a daily basis. If you recycle just half of your typical household waste, you can save thousands of pounds of carbon dioxide emissions each year. Another important way you can help reduce global warming is to reduce your energy consumption. This includes turning off lights when you’re not in the room, choosing energy efficient windows and heating, as well as lowering your consumption of hot water. 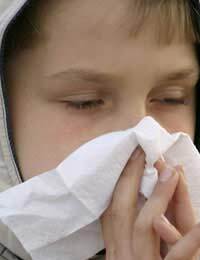 Global warming is unfortunately increasing the number of hay fever sufferers as well as exacerbating symptoms. Participating in better environmental practices while treating your hay fever symptoms, however, can make your world and everyone’s world a healthier place.